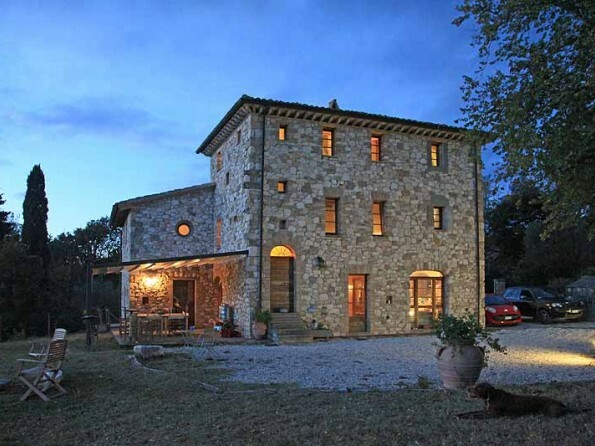 A beautiful four bedroom farmhouse dating back to the 1700s set in 3000 square metres of gardens, with a private pool and stunning views across the olive groves and valleys. 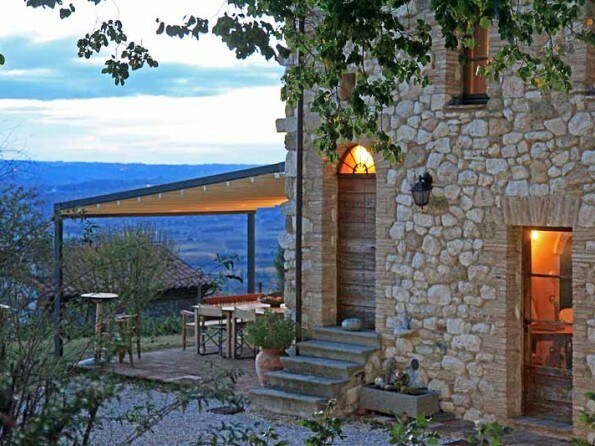 It’s an excellent spot for exploring Umbria, if you can drag yourself away from this peaceful idyll. The stone farmhouse originates from the 1700s and was completed in 1869 and became home to three families, a giant bread oven, and a lot of animals! 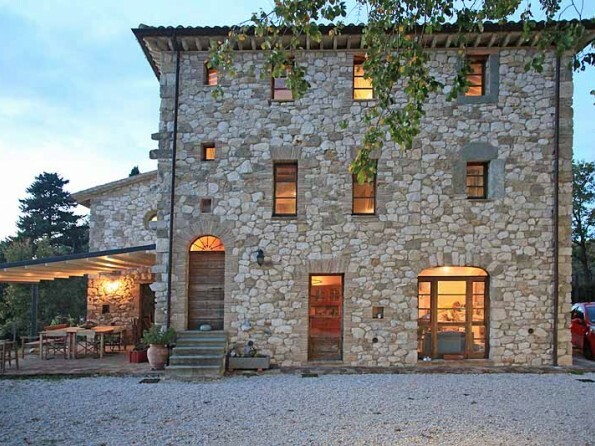 The current owner documented and rebuilt the farmhouse with anti- seismic regulations and converted it to its current state. They have salvaged as many original materials as they can including terracotta tilesm local travertine stones and roman tiles. They have also used modern and bio technology to create an eco friendly abode, with ventilated roofs and subsurface water collections for irrigation. There’s masses to do in the surrounding area including visiting UNESCO world heritage sites, petrified forest remains, Marmore waterfalls, handmade ceramic producers, nearby lakes and their towns. Orvieto with its beautiful Duomo has been voted the best European town to visit and with good reason! We can help organise excursions and tours for you as well. 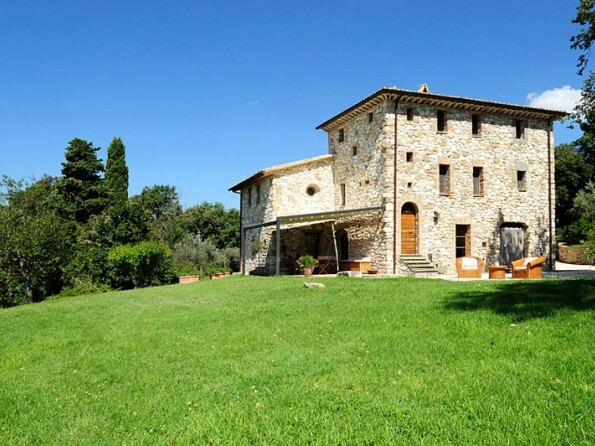 You could go on a guided mountain bike tour, visit the local olive oil producers, go wine or cheese tasting, take pasta making and cooking classes, or book onto an organised tour to Orvieto. The nearest airports are Rome (1.25 hours) and Ciampino (1.25 hours). 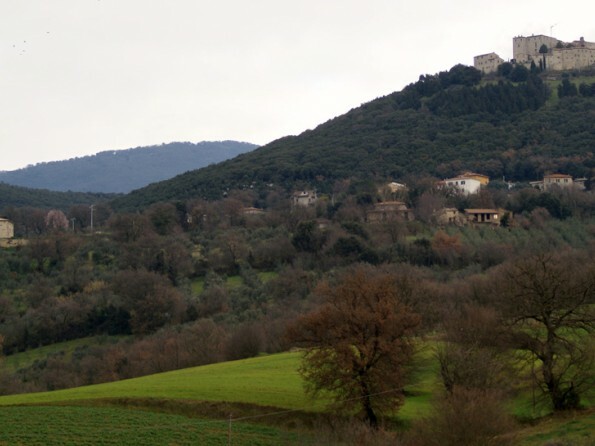 Sant Egidio airport near Perugia is 1.5 hours, and Florence airport is 2 hours. The nearest train station is the regional station of Alviano Scalo (12 mins drive) which connects with Rome and other smaller towns. There is a large train station at Orvieto (30 mins away) where you can get connections into Rome and Florence. 1 km walk to town on an Etruscan cave lined road. The ground floor has an entrance hall paved with antique restored terracotta tiles. There is a full sized and well equipped kitchen with fireplace, stove and oven, fridge freezer and dishwasher, as well as coffee maker, pressure cooker and a collection of recipe books. There is a separate laundry room with washing machine. 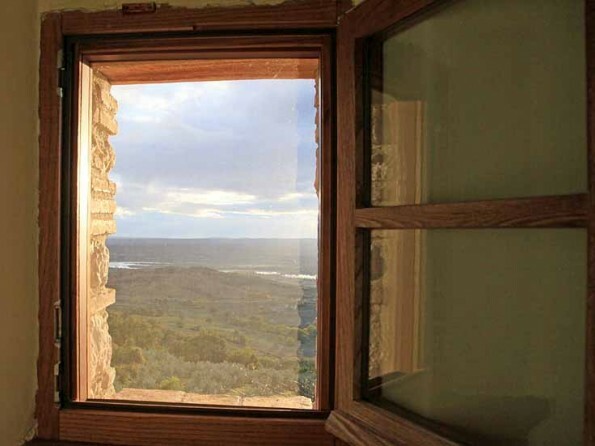 There is a large living room with views over the olive grove, one bedroom (can be double or twin) and a bathroom. The first floor has a formal living room, a library reading room (with sofa bed) and two double bedrooms, one ensuite. There is an additional bathroom on this floor. The second floor is home to the honeymoon suite with its double canopy bed, en suite bathroom with a view, and a meditation space. For the younger members of the party, there are books, games and toys. There is Wifi throughout, and a large flatscreen TV. There is a large garden and private pool at the villa. 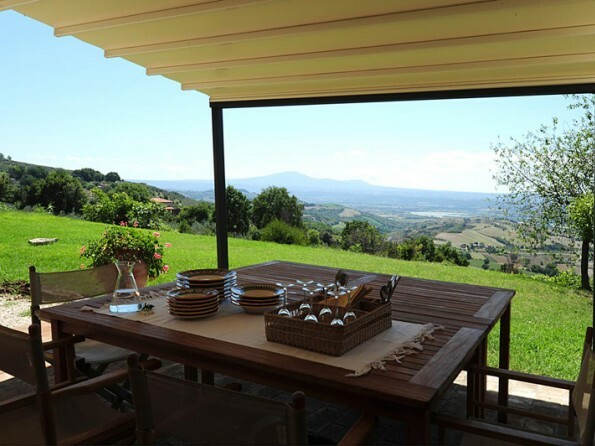 The large terrace at the front of the villa has a beautiful view across the entire Tiber River Valley...overlooking Lazio, Tuscany and a slice of Umbria, where you can BBQ and eat al fresco. There are comfortable chairs, a rattan swing and a hammock under the almond tree, or you can just grab a blanket and lie on the ‘bio’ lawn (due to the underground water collection system). There’s a table tennis table under the giant elm tree, as well as a badminton set and volleyball net. 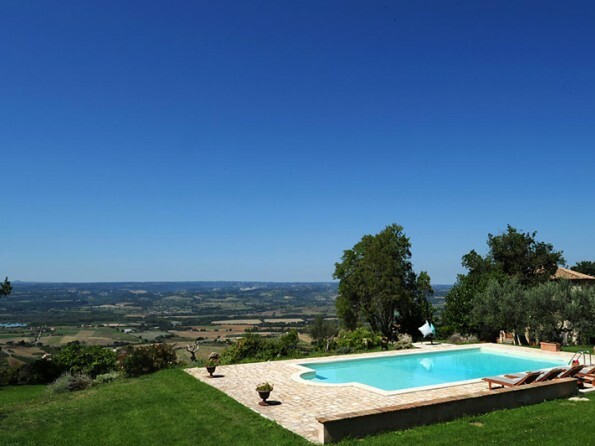 The pool is 13 x 6m and is perfectly positioned so that it has sunshine all day long. Sit on the roman steps and watch the swallows or lounge on the teak sunbeds. 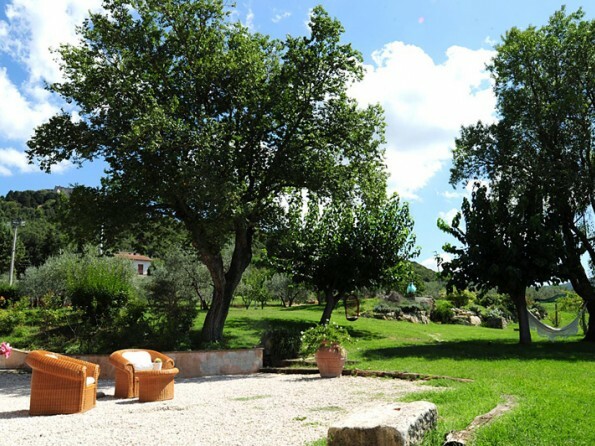 There is a large vegetable garden with fresh produce and the olive grove below has two horses grazing. Guests are provided with our own olive oil which has also gained recognition in the new extra virgin olive oil of Umbria in 2017. Deposit payable on booking. Changeover day is usually Saturday but can be flexible so do ask if you'd prefer a different day. All linen and towels provided. Reduced mobility - please contact the owner who has first hand experience of using the ground floor in a wheelchair.